This 2,500 sf residential facility is situated on a 20-acre plot surrounded by small lakes and meadows. This home was designed to incorporate functional features and site-specific materials. 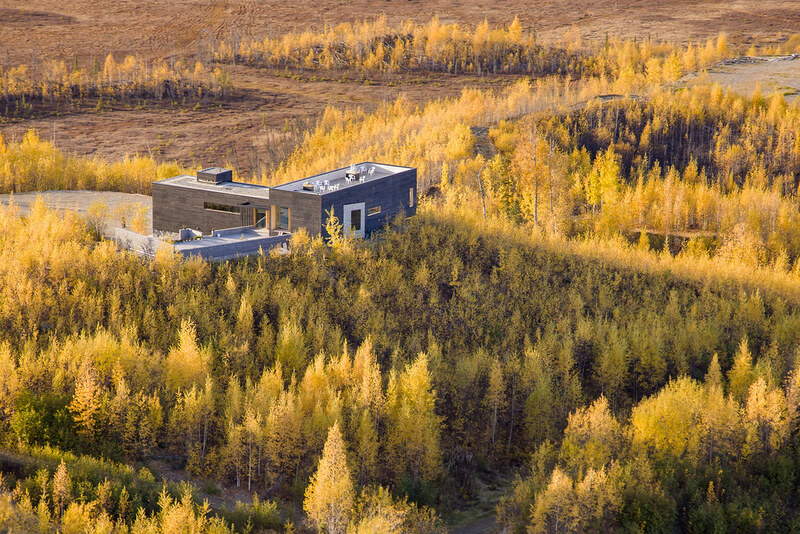 The owner desired a smaller house and a view of the mountain (Denali) from every room. 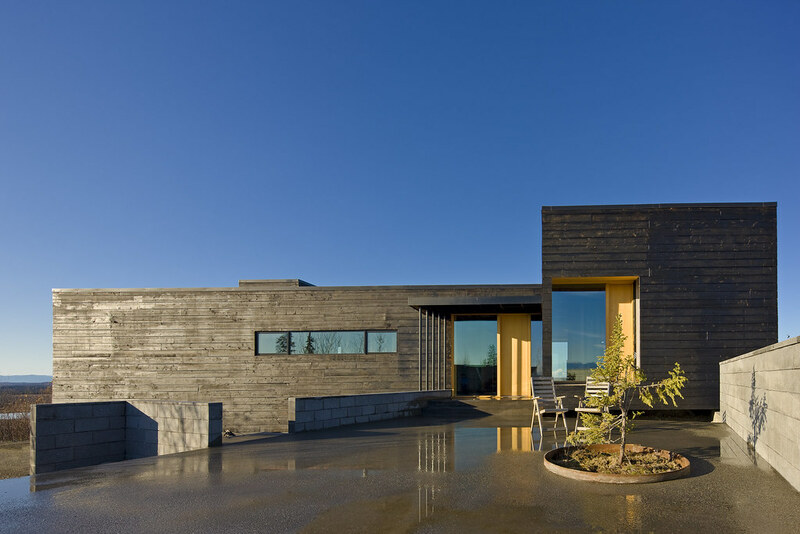 The house is L-shape with a common space focusing on the Alaska Mountain Range. A fireplace on the main floor provides vertical bracing. The house is built with simplicity and durability in mind. Materials included local yellow cedar cladding, a very durable and aromatic wood, for the interior. Charred wood siding for the exterior cladding was used for several reasons: a long lasting, traditional low maintenance finish, and mirroring the effect of the wildfires that happen in the area frequently. Along the south side of the house, a 24 ft. outer stairway leads from the lower level of the house to a roof terrace. An outside reflecting pool does double-duty as a water tank for a sprinkler system. The house has a large outdoor courtyard that creates a wind sheltered space. The courtyard is formed by concrete walls and surfaces. This ‘wet’ construction follows the topography of the site. PDC provided the structural engineering for this project. The structural design supported the architectural vision by minimizing the size of the structural members and creatively locating lateral force resisting elements.